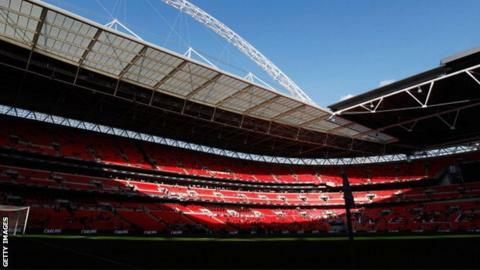 The Football Association has reduced ticket prices across all ranges for the FA Cup final by £5. Tickets for the final at Wembley on 21 May are £45, excluding concessions, while semi-final tickets have reverted to 2014 prices and begin at £30. The FA said in a statement it was able to cut prices because of "a good financial position". Liverpool recently scrapped their top-priced £77 tickets for next season after protests from fans. The club's owners apologised for the "distress caused" by their pricing announcement in response to supporters walking out after 77 minutes of the 2-2 Premier League draw against Sunderland at Anfield on 6 February. The FA statement read: "So far, this season's competition has seen attendances close to two million and £13m distributed to clubs across the football pyramid. "Lowering the cost of these showpiece matches is in recognition of the strong, continued commitment from fans supporting the world's original cup competition."